New Health Guide for Your Everyday Health. High functioning autism is used to describe those individuals in whom many or almost all of the symptoms of autism are present; however, they did not develop language typically. 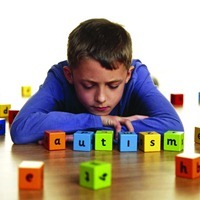 Autism is a type of brain disorder characterized by difficulty in communication and interaction with other individuals. The symptoms of autism range from total inability to communicate with others to inability to understand the feelings of others. Many psychiatrists consider high functioning autism almost similar to same as Asperger’s syndrome. with others, a characteristic that is not present in other forms of autism. However, they simply don’t understand how to do it. They may be unable to understand the emotions of others. They may be not able to read body language or facial expressions of others. Due to this these individuals may be teased and they often feel as if they are social outcasts. This social isolation can cause symptoms of depression and anxiety in such individuals. The major difference between them exists in the development of language. Children suffering from HFA usually develop language delays early on similar to other types of autism. Children suffering from Asperger’s, however, do not have classic language delays until they develop enough spoken language to make their language difficulties visible. Social interactions: The child will not make eye contact or is unable to understand the feelings of another person. Verbal and non-verbal communication: The child will either not speak or repeat a phrase again and again. Interests in objects, activities or specialized information: The child will develop symptoms such as playing with only a particular part of a toy or may become obsessed about a particular topic. Applied behavior analysis (ABA), in which a child who shows appropriate social behavior and communication skills is rewarded. The technique is based on the theory that when a particular behavior is rewarded, it encourages the child to continue that behavior. Treatment and Education of Autistic and Related Communication Handicapped Children (TEACCH) is a method that involves teaching communication and coping skills in a structured manner. This system utilizes the strengths of a child in visual skills and memorization. Copyright WWW.NEWHEALTHGUIDE.ORG © 2014, All rights Reserved. Last Updated 23 April, 2019.